We recently completed one of the most gorgeous jobs we have done this year. The homeowner designed it all herself and she did an incredible job. Not only does she have fantastic style, she's really great to work with. We did the countertops in the kitchen and three baths. Isn't it amazing? 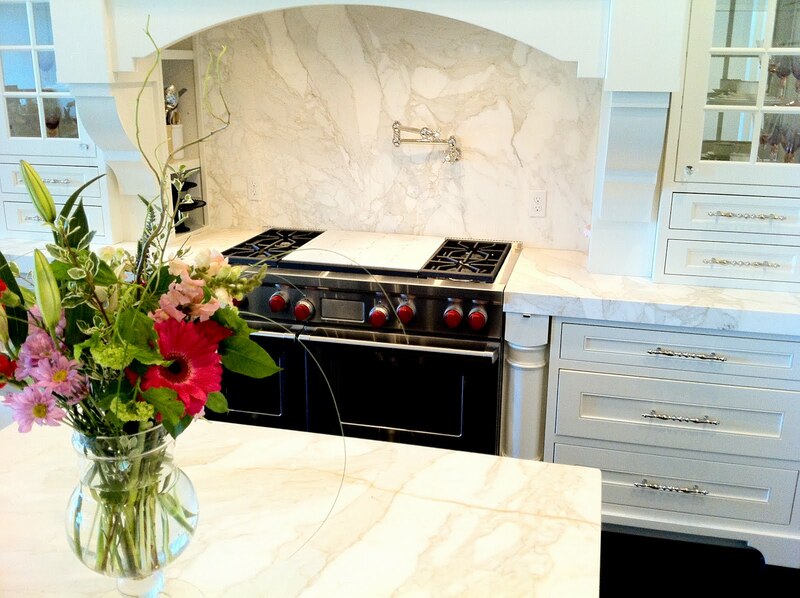 The marble on the countertops and the full height backsplash is Calacatta Gold. The slabs came in polished, but she had us do a honed finish on them. I think this was a very smart choice, she won't notice the etching near as much. 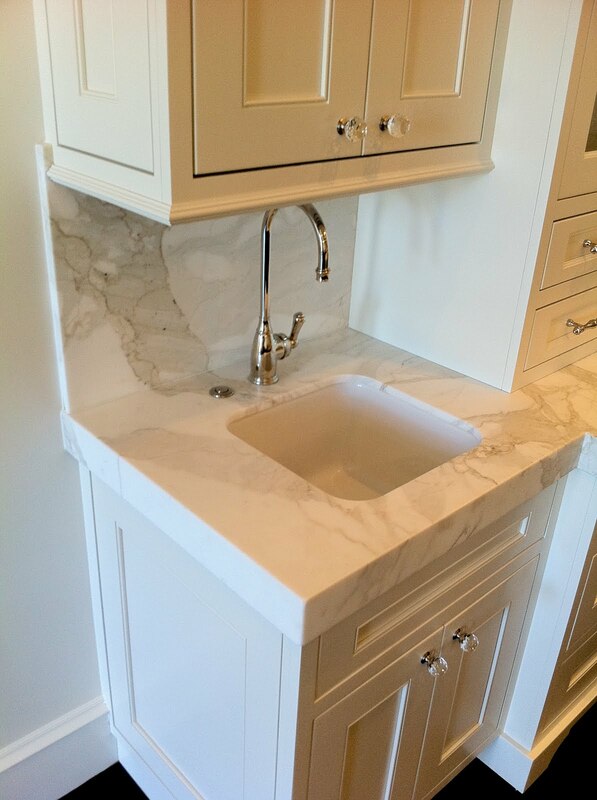 Notice in the photo above how the veining of the marble matches perfectly from the full height splash, to the countertop and down into the Mitered edge. 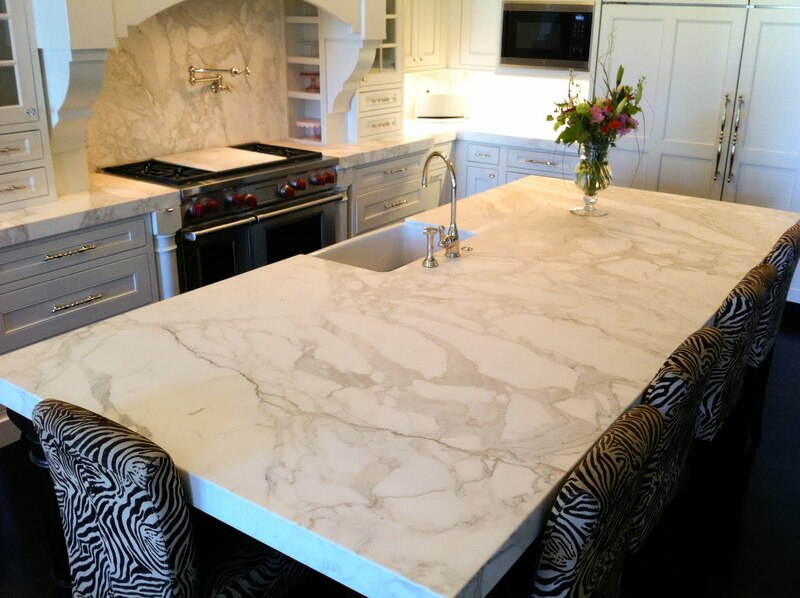 We measure for the full height splash after the countertops have been installed to ensure a perfect fit. We had to carefully save the matching pieces for the full height splash and we numbered them so that our saw guy would remember which piece went where. Projects like this are such fun for us to work on. Stay tuned tomorrow for the Master Bath, it's amazing! *All photos property of MGS by Design. That is absolutely amazing. Just gorgeous. Oh my god, this looks like a showroom! It's stunning. 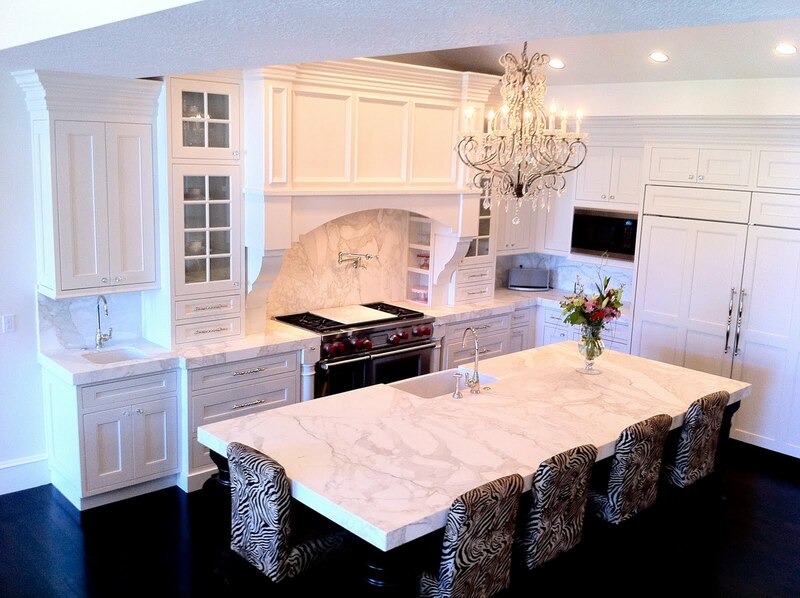 Love the chandelier and especially that gorgeous marble!!! I've always worried that honing the marble would take away some of it's beauty. I now see that is not the case at all. I couldn't even tell it was honed if you hadn't said it. 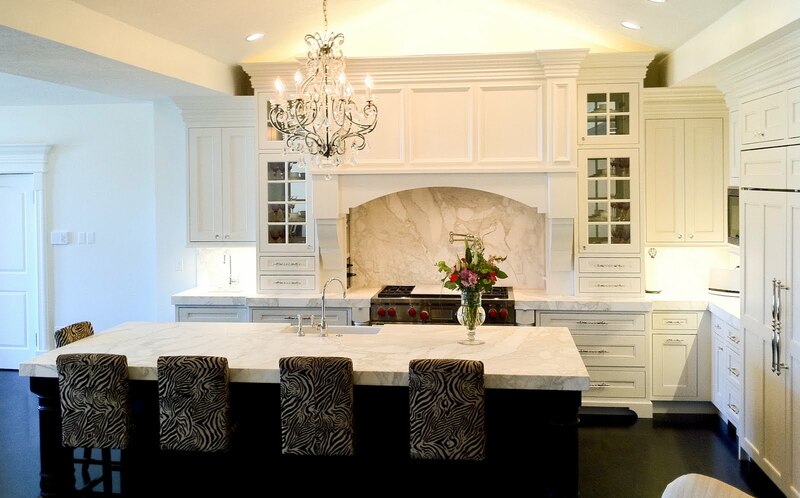 This kitchen is so gorgeous! WOW! So gorgeous. Magazine worthy for sure. Beautiful again! Love this marble, hope I can remember it. Can I ask what color paint she used?